Hideto Murakami was born in Tokyo, Japan in 1955. He graduated from Tokyo University of Agriculture and Technology in 1979. He started his career as a brake engineer at Nissan Motor Co., Ltd. upon graduation. Since then he has served a variety of positions--Senior Manager, Chassis Design Dept. 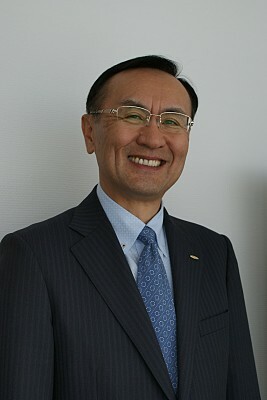 in 2002; General Manager, Advanced Vehicle Development in 2003; President of Nissan Technical Center Europe, Senior Vice President, Nissan Europe in 2006; Corporate Vice President, Global Light Commercial Vehicle Business Unit in 2009. In 2014, he was appointed Senior Vice President Calsonic Kansei Corporation. And appointed as Executive Vice President in 2015. The merger of Calsonic Corporation and Kansei Corporation in April 2000 has enabled us to contribute to the progress of automobile technologies more than ever. Calsonic Kansei was the first automobile parts supplier to work on the cockpit and front-end modules in Japan. We started production of cockpit modules in 2001, the production has expanded to more than 30 vehicle models in production in Asia, U.S, and Europe. In addition to the development and production of modules, Calsonic Kansei has also been devoting its energies to the technological innovation of components that make a module. Our capability of developing both modules and components at the same time is a great advantage for us. By globally providing components and systems, backed up with our high capabilities of development and production technologies in either area, Calsonic Kansei meets customer's needs. Major products that Calsonic Kansei provides include modules such as cockpit modules and front-end modules, as well as systems and components: interior products, HVAC systems, heat exchanger systems, exhaust systems, and various electronics systems. In the cockpit technology, we are working on the development of a more advanced air conditioning systems to create a more comfortable driving environment, as well as the development of the structure to secure the safety at collision, while achieving weight reduction. In addition, the technology of meters or other information and control systems are the core to providing a safe driving environment. Regarding air conditioning systems, Calsonic Kansei has been focusing on the development of environmental friendly technologies, which are energy saving technology and non CFC technology. CO2 air conditioning system is one of its solution, whose effect on the global warming is extremely small. Our front-end module or heat exchange technology offers the better vehicle design by using appropriate heat exchange systems on the core support of the radiator, condenser, oil cooler, internal air cooler and others. Due to the advent of next generation of environmental technology, the cooling systems for power train is expected to become more complicated. Thus we are also preparing wider range of line-up and improving them to meet the expectations. Calsonic Kansei develops and manufactures complete exhaust systems, from the intake manifold through to the exhaust manifold, catalytic converter and muffler. Built from our solid technology and extensive experience, our products offer the optimum balance between the competing requirements of good sound insulation, exhaust gas purification and engine performance. Our metal substrates are smaller and provide better cleaning performance compared with ceramic units. They also have the advantage of offering little resistance to the flow of exhaust gas, and have minimal impact on the engine power output.